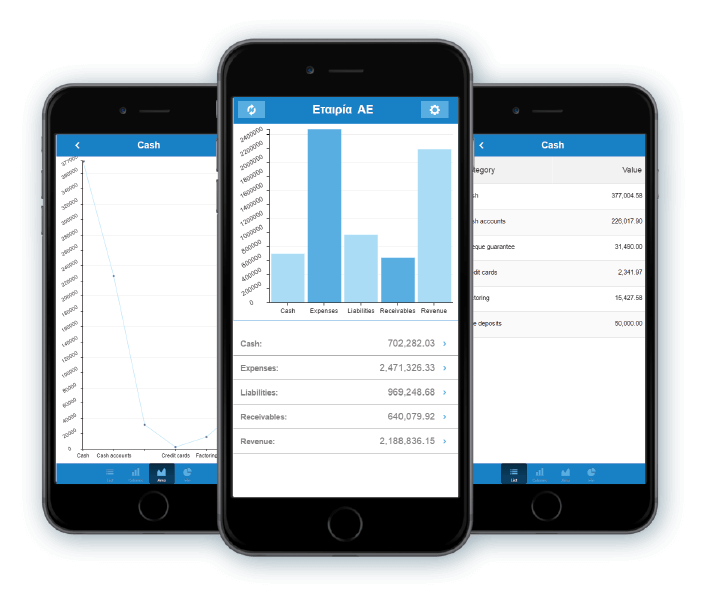 Minimize your costs and enhance your customer service, with Soft1 Mobile Sales application. Improve your sales performance whether on the road or with a customer. Soft1 Mobile Sales is ideal for all businesses that employ independent contractor salesmen, since it allows them to carry out their tasks, utilizing a mobile PDA device, which offers them real-time access to all relevant corporate information. With Soft1 Mobile Sales, executives can easily complete orders, payment collections and merchandising. They can also be informed on customer financial records, account balances, commodities status etc. In addition, using Soft1 Mobile Sales, your executives can print orders, receipts, invoices and vouchers.